Your sportive evening rides as well as your saturday afternoon training with road cycling colleagues will become even more relaxed. 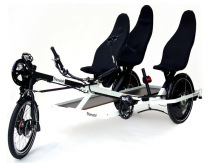 With the "Sprint" version of the full-suspension model Flite model, Toxy recumbent experts exhibit the sporty version of the successful and iF award-winning bike at SPEZI show 2013: The legendary Toxy lightweight components make the all purpose touring recumbent a dynamic sports bike with legendary Toxy riding comfort. 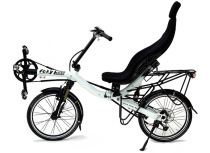 "We originally designed the Flite as a compact, practical recumbent low cross-over, not least in terms of the cycling best-agers," sais Toxy designer Arved Klütz who received the prestigious Eurobike iF Design Award 2009 for the foldable Flite version and got numerous new Flite customers. 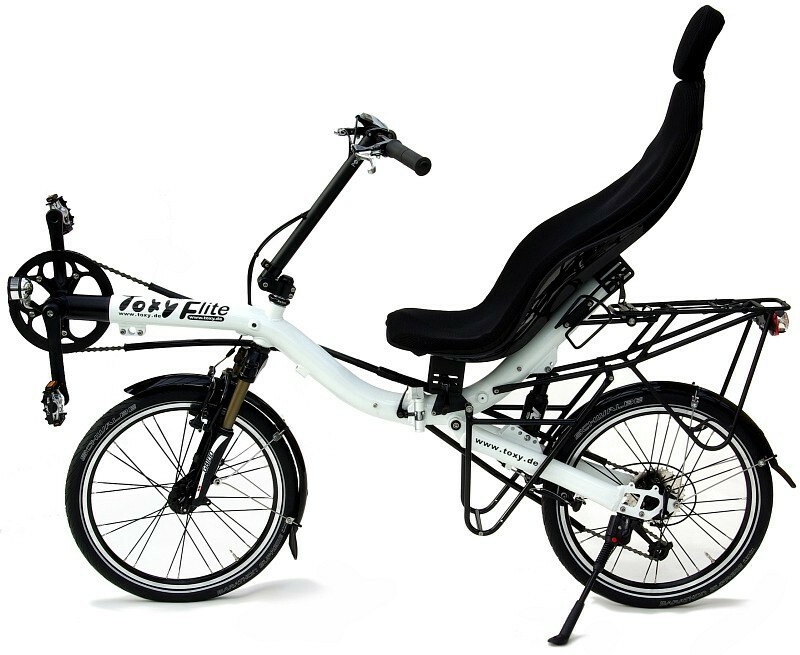 "Many customers who order our Flite for straightforward everyday use, then surprised by the speed of their new recumbent." 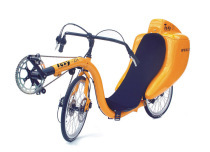 To state this sportiness, Toxy recumbent Company with their current price list 2013, offer many lite-w8 assembly options of their sports and racing recumbent models Toxy-TT and Toxy-ZR also for Flite. So the SPEZI show sample will come along with proven Toxy Aero-system wheels, air suspension fork and shock, Magura disc brakes and a special Flite ergo-seat of carbon fiber - and this will be almost three kilograms "faster" than the serial production model.